RRP: £71.72. OVER 40% OFF! Bahco 9073P 12in Adjustable Wrench - with the jaw in its standard position it is a normal adjustable spanner, but when the jaw is reversed it becomes a serrated jaw-pipe wrench! 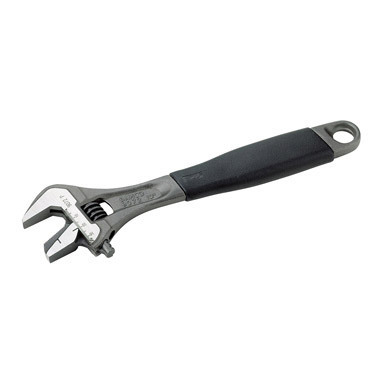 Precision-hardened & anti-corrosion treated, these quality Bahco adjustable wrenches can withstand high torque loads. Overall length: 12 inch / 308mm.